Runtime 1 hr. 59 min. 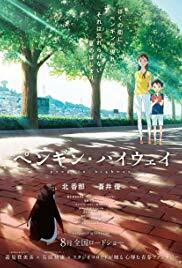 SynopsisA fourth-grader, Aoyama-kun, investigates the mysterious reason behind the sudden appearance of penguins in his village, which is somehow related to a power from a young woman working at a dental clinic.